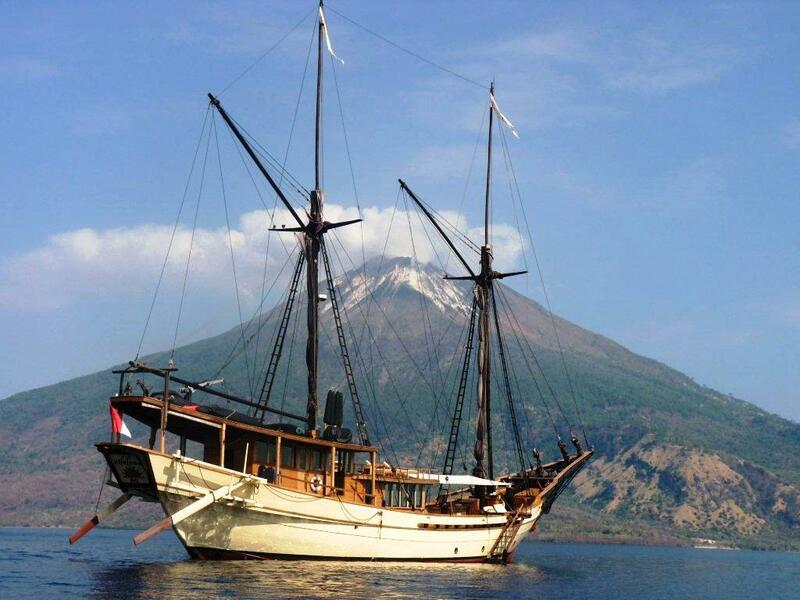 As one of the few Indonesian flag yachts available for crewed yacht charter, Silolona offers charters throughout the extensive cruising area of eastern Indonesia which is not only fascinating and beautiful, but the location of more active volcanoes than any other location in the world, and the location of some of the most world famous volcanoes. 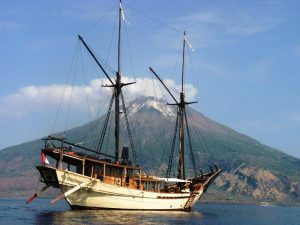 If volcanoes are your thing, or pique your inquiring mind with unanswered questions, or are just awe inspiring, then you should consider a charter on board the charter yacht Silolona in eastern Indonesia for the rare chance to experience volcanoes up front and personal. Located at the junction of the four tectonic plates for Australia, the Philippines, Eurasia and the Pacific, Indonesia is home to over 155 areas of active volcanism. When enjoying a crewed yacht charter on the charter yacht Silolona, volcanoes can be found in the cruising areas of Komodo, Flores, and the islands of the Eastern Flores Archipelago, other parts of the Lesser Sunda Islands, Halmahera and surrounding islands, island groups in the Banda Sea and the island of Sulawesi. Anchor under a puffing volcano or dine on deck at night enjoying a natural show of lava rock fireworks. Hike up to the top of dormant volcanoes to peer down into the craters below, perhaps stopping to visit a local village perched on the volcano hillsides, where life has adjusted to the natural vagaries required for living in a volcanic location. 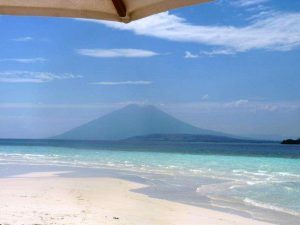 In the Eastern Flores Archipelago, cruise through narrow straights where volcanoes are lined up on either side of the straights, with the volcanic hillsides tumbling down to the sea. 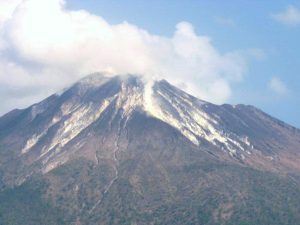 And in certain locations a sea plane can be chartered to fly close over the tops of volcanoes that are now dormant and close to the steaming funnels erupting from those volcanoes that are now active. 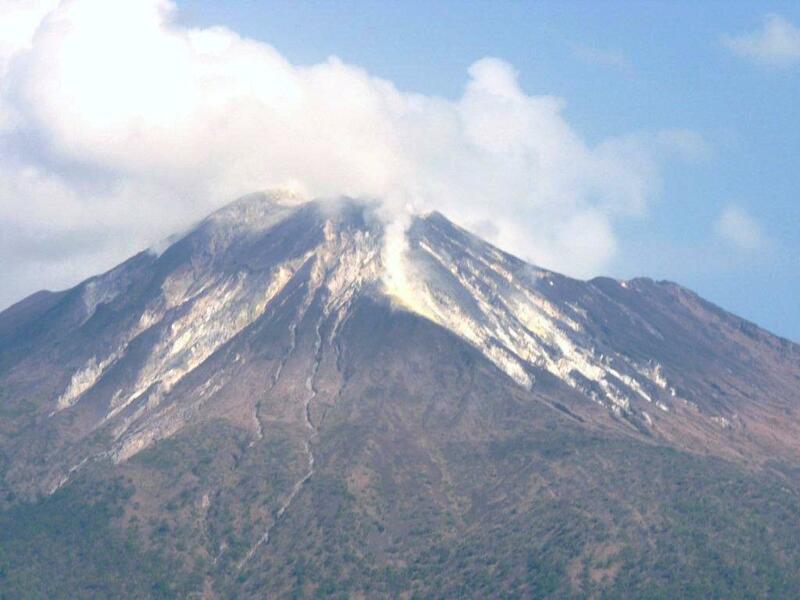 Hiking up to the top of a volcano should be done early in the morning, when the weather is cooler. Inland on Flores Island, after a drive and a hike is the Kalimutu volcano topped by two crater lakes that are filled with acid-saline waters, where depending on the time of year, the lake waters fluctuate independently in color between dark green and blood red and are a true sight to see. 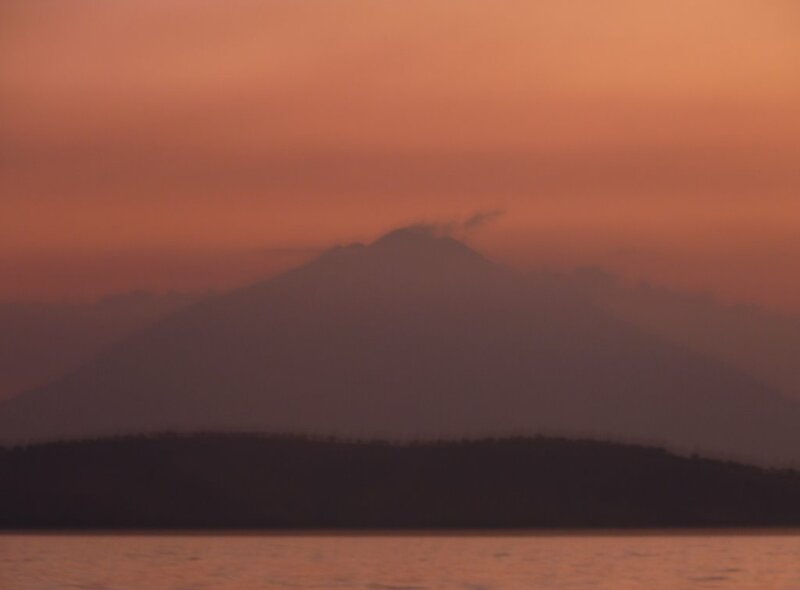 Sitting on deck under a puffing volcano or next to a lava spewing volcano can be done at any time of day, perhaps while reclining with a cool drink in one hand and your camera in the other. And while volcanoes can be the center of a yacht charter on the charter yacht Silolona during a charter in eastern Indonesia, there are also other terrific aspects of this yacht charter cruising area to enjoy including snorkeling, diving, fishing, walking miles of deserted beaches, shelling, visiting remote villages, learning new cultures, and experiencing all that there is to be experienced in eastern Indonesia on a crewed yacht charter on the charter sailing yacht Silolona.